Amilia K Spicer’s latest album is the triumph Wow and Flutter, which is Spicer’s third release.It has enjoyed acclaim for its captivating, personal lyricism, haunting melodies, and powerful rustic tone. American Songwriter Magazine described the album as “a timeless, brand-new Americana classic.” Now, Spicer is releasing the LP's third single, “Harlan,” which sees Spicer make the emotional journey to the birthplace of her father. The album landed on many year-end best-of lists for 2017. Despite the acclaim, Spicer retains an underground mystique to her, perhaps due to her “don’t fence me in” attitude (also the name of her record label). In addition to performing, Spicer spends time traveling (recently to Tibet and Bhutan), showcasing her photography, and directing/producing indie films. Throughout 2018, Spicer performed frequently in the Americana festival circuit. She wowed fans with a full band set at the Kerrville Folk Festival in Texas, as well as the Woody Guthrie Folk Festival in Oklahoma. 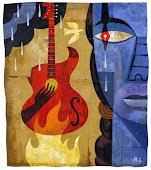 Furthermore, she’s performed more intimately at venues across the US, including 30A Songwriters Festival in January. 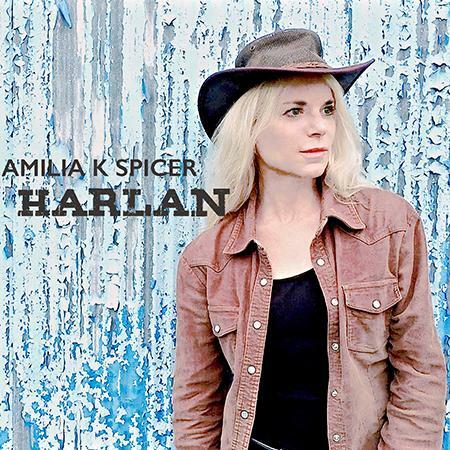 With the single, Spicer proudly debuts the self-directed music video for “Harlan.” As ever, the video is an excellent example of what makes Amilia K Spicer such a captivating performer – after all, she’s a frequent face on the Americana music festival circuit!